Chef Hugh Acheson Goes Wild On..
Keep On Truckin: Dispatch Coff..
2014 has been a good year for Rec Coffee in Fukuoka—its new Kencho-Higashi cafe opened this past March, co-founders Yoshikazu Iwase and Osamu Kitazoe both made the SCAJ Barista Championship finals, and to top it off, Iwase took first place—a tremendous achievement for the young coffee company. And though their achievements of late have made them more prominent in the Japanese coffee scene, Iwase and Kitazoe’s interest in coffee goes back to their college days. This shared love of coffee eventually intertwined with their desire do something fun with their lives and careers. This first foray saw the two traveling around Japan in the Rec Coffee Truck. 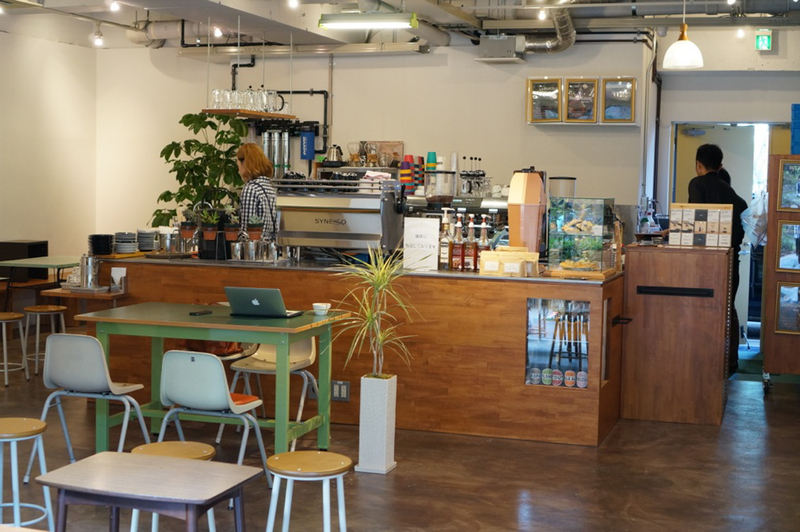 Success with the coffee truck eventually blossomed into the Rec Coffee cafe in Yakuin-Ekimae, then a coffee counter at FAAM, and more recently a cafe in Kencho-Higashi. And though many see specialty coffee in Japan as something of a new frontier, Iwase and Kitazoe see it as a continuation and development of a culture Japan has long valued. And as for where the two see Rec Coffee going in the future? You can see what that vision for the future looks like for yourself in April when Iwase represents Japan at the 2015 World Barista Championships in Seattle, WA. Hengtee Lim (@Hent03) is a Sprudge contributor based in Tokyo. Read more Hengtee Lim on Sprudge. Photos courtesy of Rec Coffee. An earlier version of this story incorrectly identified 2015 JBC Champ and Rec Coffee co-owner Yoshikazu Iwase as “Toshiyuki Iwase” due to a translation error. Our deep apologies for the mistake.